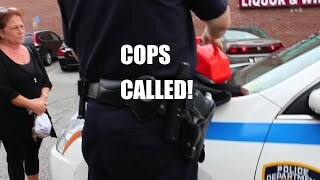 This gas can water prank in NYC goes wrong, and the cops are called. He is pretending to be pouring gas near people, but it’s only water. Pretty risky prank.